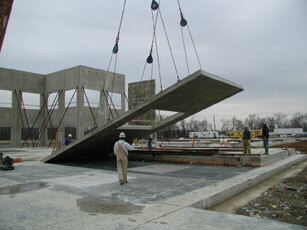 Building owners aren’t typically focused on the construction method for their new facility. They are concerned with budget, schedule, operational and maintenance costs and aesthetics of the finished building. Join us for a live audio conference April 19, 2012 at 1:00 p.m. EST to learn why building owners should care as much about the construction method as they do about the budget and schedule. “New Building Construction – Why Tilt-Up Is the Right Choice” is a webinar that will explore the features and benefits of modern tilt-up construction and educate prospective building owners, designers and contractors why tilt-up is the preferred choice for many facilities. Tilt-up building owners can not only accelerate occupancy schedules and lower construction costs, they can reduce maintenance and operating costs while receiving an investment grade building. To learn more about this live audio conference and to register, click here.